Clearly, it is vital that the world’s two largest nuclear-armed states maintain a stable relationship and avoid direct military conflict. With hundreds of long-range thermonuclear weapons on each side poised for “launch under attack,” the fate of the world still depends on the good judgment and restraint of the U.S. and Russian presidents in a crisis. For decades, these realities have driven U.S. presidents from both parties to engage with Moscow to reduce the risk of a nuclear confrontation, cut bloated nuclear stockpiles, and prevent proliferation. Maintaining progress on U.S. and Russian nuclear disarmament helps to lower tensions and maintain strategic stability; it is also vital to prevent the spread of nuclear weapons. Furthermore, U.S. leaders have steadfastly provided assurance to allies in Europe that Washington will back them up if Russia threatens to violate their territorial integrity. To date, however, the Trump administration has failed to articulate a coherent strategy toward Russia. It has sent contradictory messages about the U.S. commitment to defend NATO countries and maintain sanctions against Russia, which are designed to encourage Moscow to abide by the Minsk agreements on the resolution of the Ukraine conflict. Trump said in January that “nuclear weapons should be way down and reduced very substantially.” Yet, in his first call with Russia’s leader, he reportedly denounced the successful 2010 New Strategic Arms Reduction Treaty (New START), which sets the stage for further reductions, and he did not respond positively to Russian President Vladimir Putin’s suggestion that the deal should be extended. 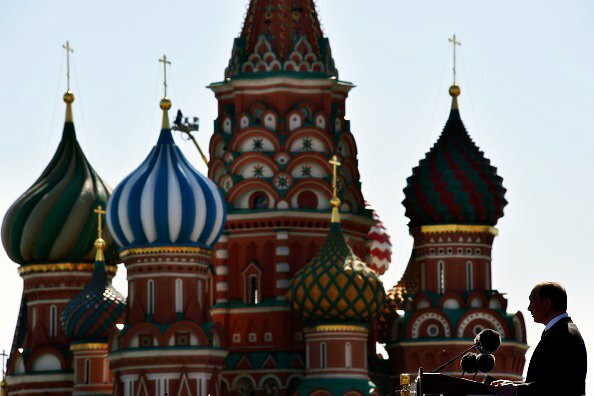 Trump should certainly engage with Russia, but in a manner consistent with long-standing U.S. policies that advance core national and allied security interests in four key areas. Reduce nuclear tensions. To start, the two leaders could reaffirm the statement by U.S. President Ronald Reagan and Soviet leader Mikhail Gorbachev from 1985 that “a nuclear war cannot be won and must never be fought.” They should also reaffirm their commitment to the quarter-century-long U.S. and Russian moratoria on nuclear weapons test explosions and the prompt entry into force of the 1996 Comprehensive Test Ban Treaty, which both have signed but only Russia has ratified. As President Barack Obama noted in his final press conference, “[T]here remains a lot of room for both countries to reduce our nuclear stockpiles.” With up to 1,550 deployed strategic nuclear weapons allowed under New START, Russia and the United States can safely cut their bloated nuclear stockpiles further without negotiating a new treaty. By agreeing to extend New START and its verification provisions by five years, to 2026, Trump and Putin could confidently pursue further, significant parallel reductions of warhead and delivery system inventories by one-third or more and still meet their respective nuclear deterrence requirements. Address INF Treaty violations. Russia has reportedy begun deploying ground-based cruise missiles prohibited by the landmark 1987 Intermediate-Range Nuclear Forces (INF) Treaty. Trump said on Feb. 23 he would take up the issue with Putin when they meet. Russia’s actions do not significantly alter the military balance, but they require the United States to confront Russian officials with evidence of the violation at another meeting of the treaty’s Special Verification Commission and to work to resolve all outstanding compliance issues. If Moscow continues to deploy the banned ground-launched cruise missiles, U.S. leaders should insist that the weapons would need to be counted under the limits set in the next round of nuclear arms reductions. Washington should also continue to support ongoing NATO efforts to bolster the conventional defenses of those allies that would be potential targets of Russian aggression or intimidation. Adjust U.S. missile defense plans. The United States has followed through on its phased adaptive approach for limited missile defenses in Europe to counter Iran’s medium-range missile arsenal. With the successful implementation of the 2015 Iran nuclear deal, Washington can suspend the deployment of more advanced Aegis missile interceptors in Poland, as well as a possible ground-based, strategic interceptor site on the U.S. East Coast—both of which are oriented to counter a long-range, nuclear-tipped Iranian missile threat that has not materialized. Failing to adapt missile defenses will only deepen Russian suspicion the system is also directed at them and increase the likelihood of dangerous Russian countermoves. Prevent dangerous military incidents. Growing tensions in the Baltic region combined with dangerous military encounters involving NATO and Russian forces risk unintended escalation, possibly up to the nuclear level. To reduce mutual suspicion, the two sides should pursue a new dialogue on mutual restraint measures, including subregional arms control limits and an incident-prevention communications channel. Without a more serious and consistent U.S. strategy on these key security issues, our already troubled relationship with Russia will become more unpredictable and dangerous.